SAN JOSE, Calif., June 7, 2011 – Cisco is continuing its tradition of innovation by announcing a simpler way for service providers to architect the next-generation Internet to be more visual, mobile and virtual. Cisco today announced major advancements to its Cisco® ASR 9000 Series Aggregation Services Routers, which will set new industry benchmarks and dramatically increase capabilities at the edge of the next-generation Internet and transform the broadband communication and entertainment industries. New capabilities, performance gains and significant cost savings stem from Cisco's latest innovation, nV technology (Network Virtualization), which will be deployed first on the Cisco ASR 9000 system, then made available on other Cisco platforms in the future as networks continue to evolve. Ciscopredicts that by 2015, the number of network-connected devices will be more than 15 billion, twice the world's population, and the total amount of global Internet traffic will quadruple, reaching 966 exabytes per year. (Cisco Visual Networking Index (VNI) Forecast (2010-2015) Cisco's announcement today helps service providers thrive in this rapidly changing environment and capitalize on these trends. 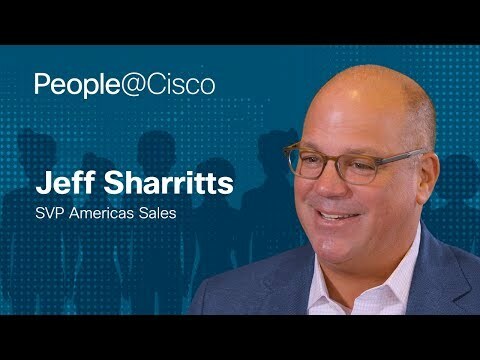 Cisco will also host a global public webcast today (Tuesday, June 7) at 10:00 a.m. (PDT)/ 1:00 p.m. (EDT) to discuss significant developments in its service provider technology portfolio. To register, please visit the event registration page. Editor's note: Prior to the public webcast, Cisco will host an interactive event for media and industry analysts involving executives from Cisco and leading global service providers. For more information, media and analysts should contact #NACiscoSPinf@text100.com. Additionally, Cisco is hosting a "TechTalk" for shareholders and financial analysts at 2:00 p.m. (PDT) today (Tuesday June 7). The event can be accessed at http://investor.cisco.com/. The Cisco ASR 9000 system is positioned in the edge and aggregation sections of the network and complements the Cisco CRS-3 Carrier Routing System (CRS)located in the core of the next-generation Internet. It will help enable compelling new experiences for consumers, new revenue opportunities for service providers and new ways to collaborate in the workplace. Several of the world's leading service providers, such as China Telecom, Comcast, Cox Communications, FastWeb, NTT-Plala and Tata Communications, are deploying the Cisco ASR 9000, joining more than 500 service provider customers of the ASR 9000 Series. The New Cisco ASR 9000 system: Cisco is expanding the Cisco ASR 9000 Series with the new Cisco ASR 9922 Router and high-density 10G and 100G interfaces for the network edge and the Cisco ASR 9000v for the network aggregation layer. These new additions, along with the Cisco ASR 9010 and Cisco ASR 9006 Routers, will help deliver a single system for high-speed business and residential connectivity to deliver new video, mobile and cloud services. Innovative Network Virtualization Technology: Cisco is announcing Cisco nV (network virtualization) technology, which intelligently blends the network edge, aggregation and access layers into a single Cisco ASR 9000 system for the next-generation Internet to simplify operation, increase network capacity and accelerate IPv6 services. Could stream recordings of all Super Bowls, World Cup and Cricket World Cup matches ever played in less than a second. Allow every man, woman and child in Beijing, London and Moscow (~43 million people) to watch a high-definition video movie –simultaneously. Could download the equivalent of 180,000 DVDs every minute. Supporting up to 84,840 Gigabit Ethernet (GE) ports, a single Cisco ASR 9000 system could deliver one Gigabit Ethernet connection to nearly every home in Orlando, Fla.; Kowloon City District, Hong Kong; or Venice, Italy. Such simplification and savings are achieved through plug-and-play capabilities, singular point-of-service management using Cisco Prime for Internet Protocol Next-Generation Network (IP NGN), cost-effective configurations, and ease-of-deployment features. These reduce the need for costly on-site setup, support and maintenance, while providing savings on hardware and software. This capability is available to the more than 500 existing Cisco ASR 9000 customers with a simple upgrade. Simplify IPv6 and Cisco Videoscape Transition: Cisco is delivering on its strategy of building out IPv6 next-generation networks to simplify the design, deployment and management of services for global service providers. Cisco Integrated Service Module (ISM) with Cisco nV technology provide a single touch point for carrier-grade IPv6 deployment across thousands of devices. Cisco Videoscape technology is supported with the Cisco Integrated Service Module for caching, streaming and monitoring to optimize and monetize the video experience. "This is a critical period in the broadband communications industry. To remain competitive and meet consumer and business customer needs, service providers must deliver next-generation Internet experiences. Backed by industry-leading networking innovations such as nV technology on the Cisco ASR 9000 system, Cisco is committed to enabling our valued service provider customers to keep pace with user demands while launching new revenue-generating services." 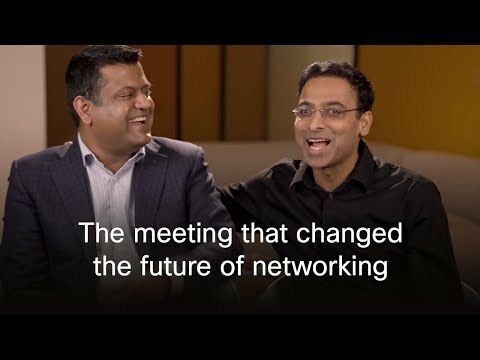 Watch VoD: Announcing the Cisco ASR 9000 system: Surya Panditi, Cisco co-lead of service provider core technology group, who introduces Cisco's latest innovation for service provider networks. Cisco will host a global public webcast today (Tuesday, June 7) at 10:00 a.m. (PDT) to discuss significant developments in its service provider technology portfolio. To register, please visit the registration page here. Editor's note:Prior to the public webcast, Cisco will host an interactive webcast for media and industry analysts involving executives from Cisco and leading global service providers. Media and industry analysts who would like more information should contact #NACiscoSPinf@text100.com. Visit the Cisco Service Provider Solutionsportal. View the full Cisco Visual Networking Index Forecast for 2010-2015.